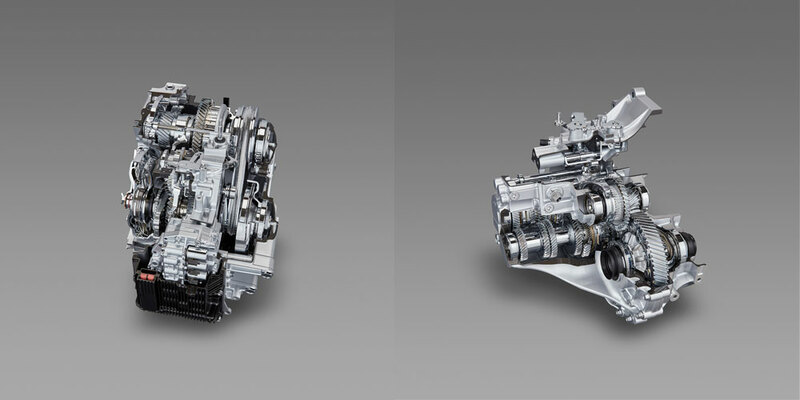 This world’s first use of a launch gear in a passenger vehicle CVT allows the new transmission to use gear drive when starting from a stop, before shifting to the belt drive at higher gear ratios. This reduces power delivery lag on initial acceleration while benefiting from the belt drive’s fuel efficiency. The new CVT will be exclusive to non-hybrid vehicles using the new 2.0L 4-cylinder engine, which has yet to be confirmed in any Lexus or Toyota vehicle. Presumably, this would power the UX 200 crossover that was trademarked in 2016.